Modern forestry covers a broad range of areas, including the actual forests, as well the ecosystems that live within them, such as wildlife and water systems. Forestry is the science of creating, managing, using, conserving and repairing forests, woodlands, and other resources for human and environmental benefits. It is practised in plantations and in natural forests. You may learn about the provision of timber, wildlife habitat, natural water quality management, landscape design, biodiversity management, erosion control, and the environmental impact of forestry, among other things. In today’s society, where we are in need of natural resources, foresters are in high demand. When studying for a degree in forestry, you will have to study modules in different scientific areas, such as biology or biodiversity. You may also be required to undertake modules that are specific to forestry, for example sustainability, environmental management, as well as learning about the technology used in forestry, like geographical information systems (GIS). Your degree may be delivered in a mixture of modes. This could involve classroom work, laboratory work and potentially spending some time in a work experience placement. This work experience may be taken on campus, or it may be taken in partnership with another body or company. If your course requires you to write a dissertation, you will be able to research an area of forestry that you favour, allowing you to specialise even further. The award you will gain on successful completion of your degree depends on the country in which you study, and your institution of choice. Some institutions may only offer a standard certification, such as a bachelor of science. Other institutions may be accredited by national forestry bodies, such as the Forestry Commission or Institute of Chartered Foresters (ICF) in the UK, or the Society of American Foresters (SAF) in the USA. You should check the courses you are interested in to find out about their specific accreditation. Once you have finished your degree, you may need to gain extra accreditation before you can go into forestry. This varies from country to country, so make sure you are aware of any restrictions. On average, an undergraduate degree in forestry will last around three to four years. Foundation degrees, diplomas and certificates will take up to two years, if studied full-time. When you have completed your undergraduate degree, you will be able to either seek employment, or continue your studies. You may choose to take a postgraduate degree, such as a masters degree, a PhD, or a graduate diploma or certificate. 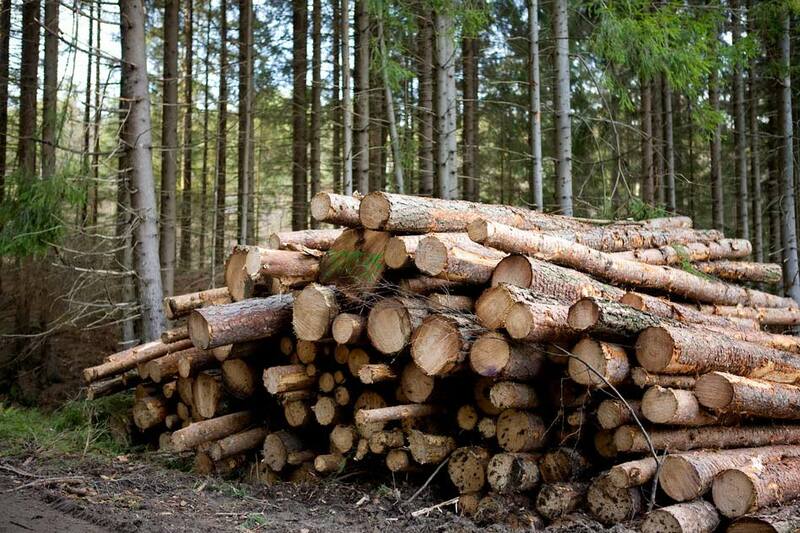 If you choose to obtain a further degree, you may be able to study a more specific area of forestry. Entry requirements for this course will depend on the institution you choose. Some universities require you to sit an entrance exam, whereas some will rely on your previous exam results. Some institutions have a preference for your previous academic experience, for example good results in certain subjects. It is possible that some institutions will accept previous and relevant work experience for entry, but this is not guaranteed. You should check each course to see what their entry requirements are, and to see if you are able to meet them. The tuition fees charged for forestry courses will vary from institution to institution. Fees for international students are not fixed, so there could be a big difference depending on where you choose to study. Your institution may offer scholarships or funding for your course, or you may be eligible for funding assistance from a separate body. For more information, visit our scholarships and funding section. Forestry graduates will be able to find employment in a wide range of career paths. A forestry degree provides students with a number of transferable skills, such as research ability, laboratory skills, logical thinking, and a knowledge of environmental and sustainability issues. Some graduates may choose to work in the forestry field, for example as a conservation officer, forest ranger, forestry science or conservation scientist, among other roles. Some graduates may gain employment in related fields, such as agriculture. Find forestry programs available in the following countries.